I don''t get England. What I watched yesterday was utterly unimpressive. I look in the papers today and they are all getting a rating of 7 and 8s rather than the 4 or 5s I would have given them. Kane was anonymous. The end showed what happens when you ask the like of Danny Rose and Dele Alli to defend. I thought it was really poor. Hodgson is the kind of person you don't want to be stuck behind in a supermarket queue. Equalizer was very poor from our point of view. How much time did the Rusky have to put that cross in? What the hell was Milner doing just watching him? Why didn't the defense push up when the corner was initially cleared ?. .. they just stood there transfixed. What the hell was Hart doing? Whenever I see him now all I can do is think of that bloody stupid dandruff advert. Kane was next to useless. He can't get any worse but Vardy deserves a chance. Kane was woeful, and what in the name of God was he taking corners for? As for Hart , if he was chocolate he'd eat himself , bang average keeper. Enjoying Slaven Bilic in the ITV studio. I'm honestly fast losing any interest in the Euros for the shocking events happening outside and within the stadium. Marseille Ultras and Russian hooligan groups (usually wearing black tops) are targeting and absolutely terrorising our fans. I've seen videos where one woman is heard screaming "help me" but the police just hurl tear gas and cage the supporters within the areas of violence. The shocking violence is met with equally shocking incompetence from the authorities. English fans stampeded within the stadium? People are going to get seriously hurt and killed, including families, women, children. I'm beginning to hope that we do get disqualified if only for the safety of our fans. Particularly the pained expression on his face whenever Hoddle spews his twaddle. Marseille Ultras and Russian hooligan groups (usually wearing black tops) are targeting and absolutely terrorising our fans. I'm not sure that that video shows the Russian being anymore aggressive than the English, though admittedly it was from a Russian new service. Certainly the French Police look particlarly incompetent - and they have a long history of that. Mind, a violent Russian presence would not be surprising. Ordinary Russians are very angry with the west right now. Uefa clearly has to discipline Russia first, otherwise it's officials will be up against corruption charges in New York. There is still a lot of pressure to take the WC away from Russia in 2018. For peoples safety I hope they do. It is a violent lawless racist mess of a society with an axe to grind against the West. People will die in the next WC if it's held there. I heard the Russian media described the events in the stadium as "brave Russian football supporters standing up against English hooligans". That's all you really need to know. 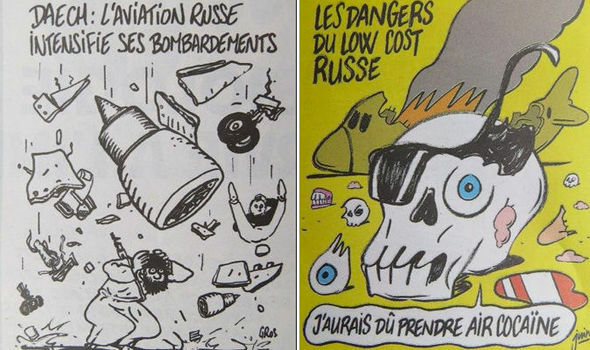 Needless to say Russia (leaders and press) were much more respectful follwoing the Paris attacks a few days later. But you can see why this would make one angry - and I could tell you a hunderd other examples. I don't want to fall into the western picture of Russia as the bad guys here , they're a popular figure of demonization in the media but Adrian Durham on Talk Sport just said the flare gun that was "smuggled" into the ground was used to signal a choreographed attack by Russian ultras on England supporters. How "we" can get into trouble for that is beyond me.